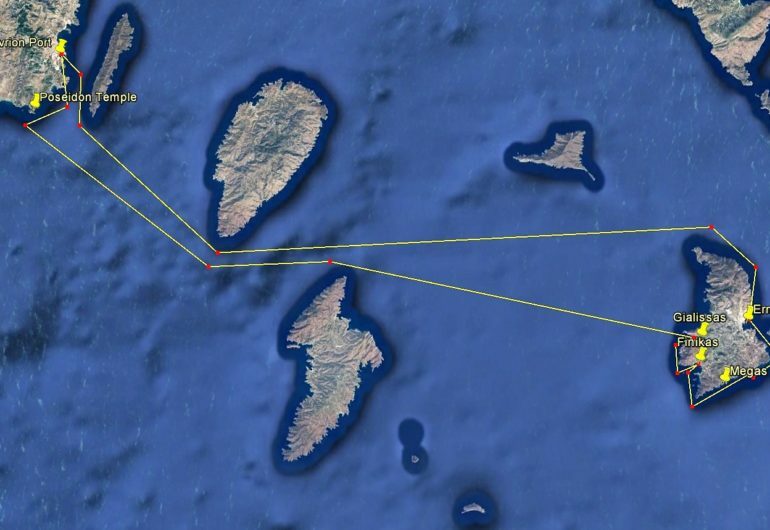 Information on the Cruise: Setting course Eastern of Lavrion, we are heading towards Syros island that is considered a favorable pole of attraction throughout the year. 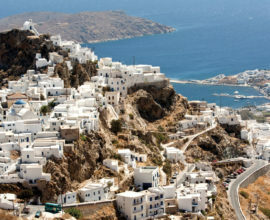 An island, where Greek tradition and western influence come to a harmonious marriage. 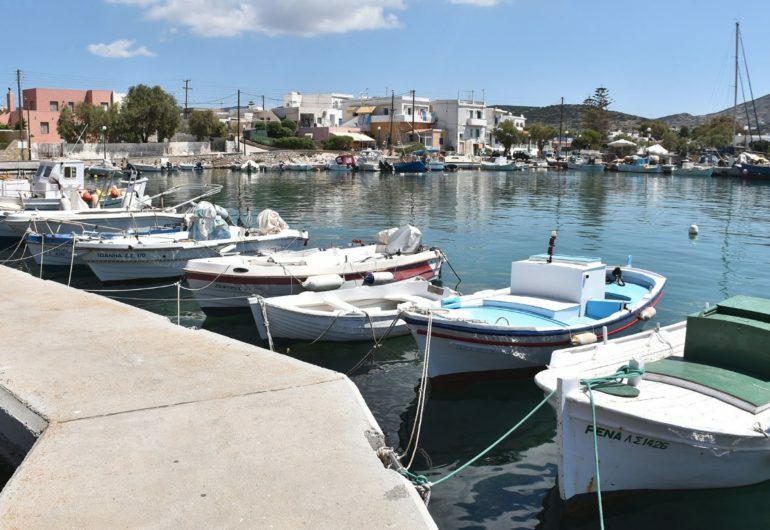 Our first stop, Ermoupoli, the Town of Hermes, is the island’s capital town and has been the first important trade and industrial center of the country in the 19th century. 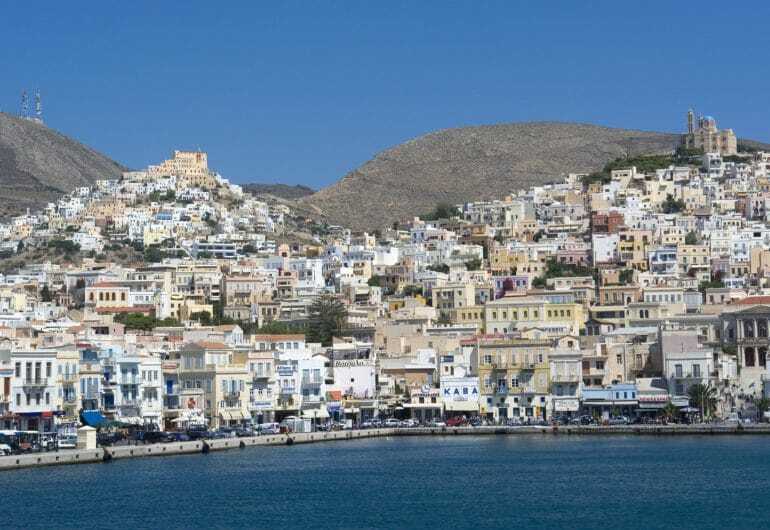 From the medieval city of Ano Syros, the ancient monuments of the Early Cycladic period in Kastri, the municipality of Syros-Ermoupolis, the Apollon Theater resembling Scala di Milano, the Orthodox and Catholic coexistence as well as the various influences from Asia Minor and all the way to the machine center in Neorion operating since 1861, Syros is a unique place of everlasting historical tradition and culture. 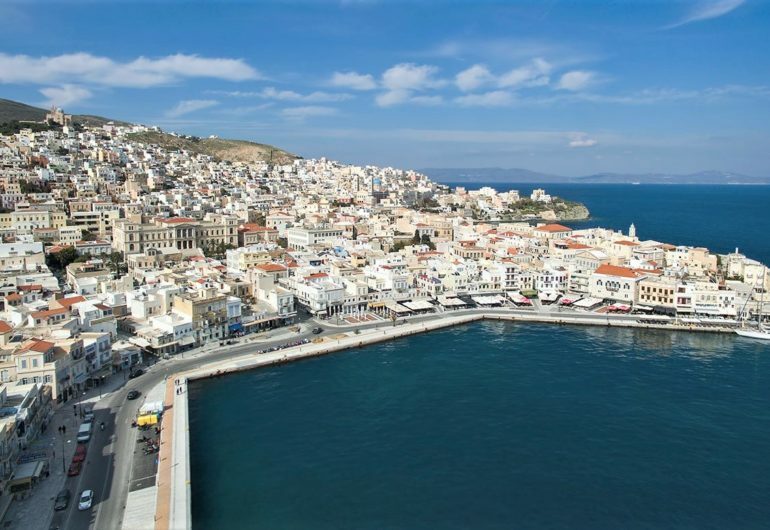 Miaouli square is the historic square of Syros featuring architectural marvels that blend into a dreamy landscape of the 19th century with buildings that testify the existence of a great civilization. 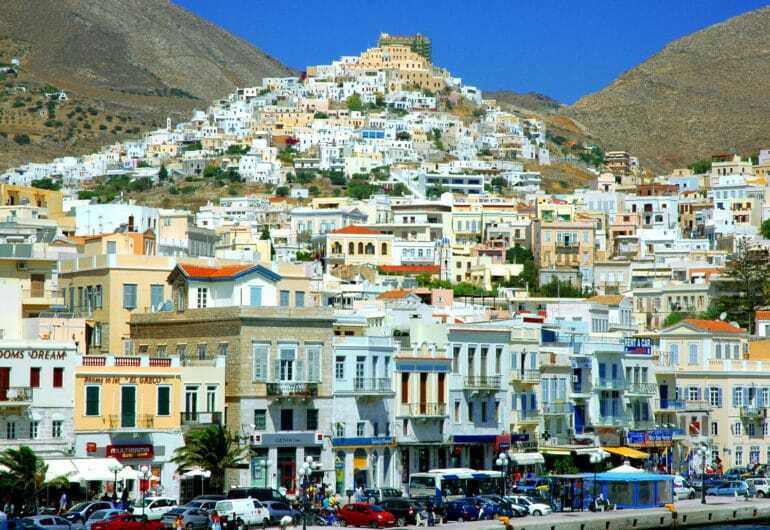 It is worth visiting the Town Hall inspired from Ziller that has been giving a special character to the area since 1898 with its impressive staircase of 15.5 meters width, the club that houses the cultural center since 1863 and the historical archives of Syros in a building situated next to the Town Hall. 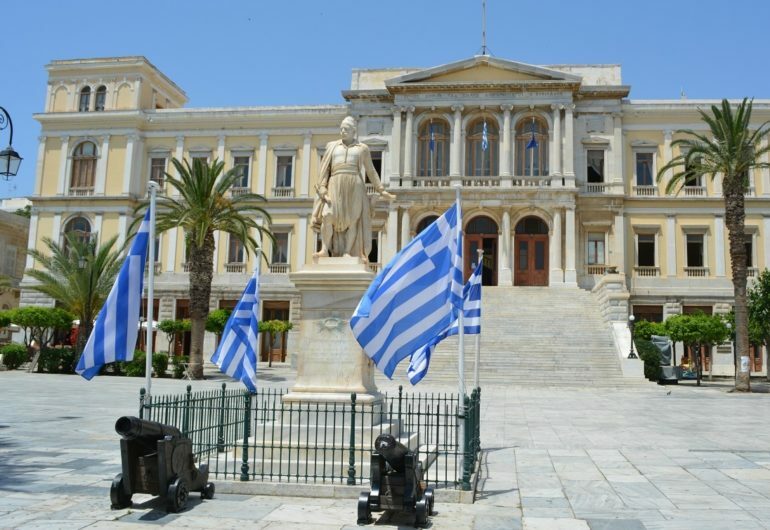 Of course the square also features the statue of the admiral from the war of independence Andreas Miaoulis. 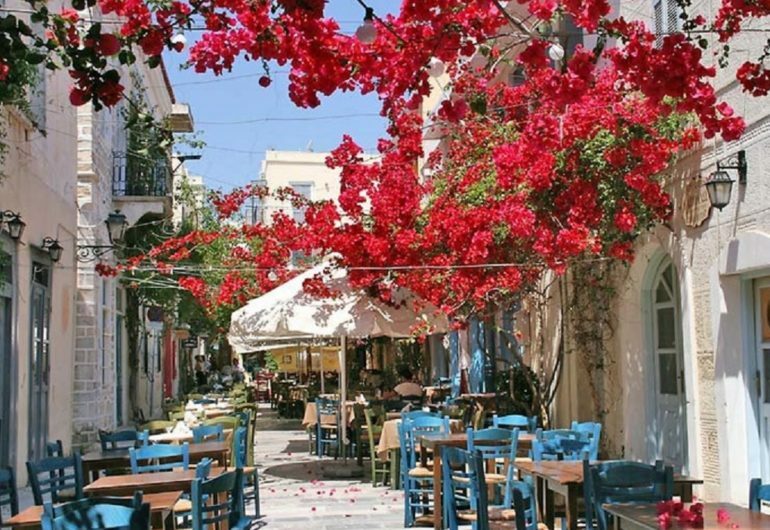 Today the square is the heart of the political, social and cultural life of the island and the ideal choice for walks and coffee breaks at the surrounding coffee shops. 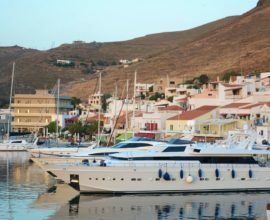 Next on the route is the coastal settlement of Megas Gialos that brilliantly combines a scenic atmosphere with easy access and a wide range of hotels as well as rooms for rent. 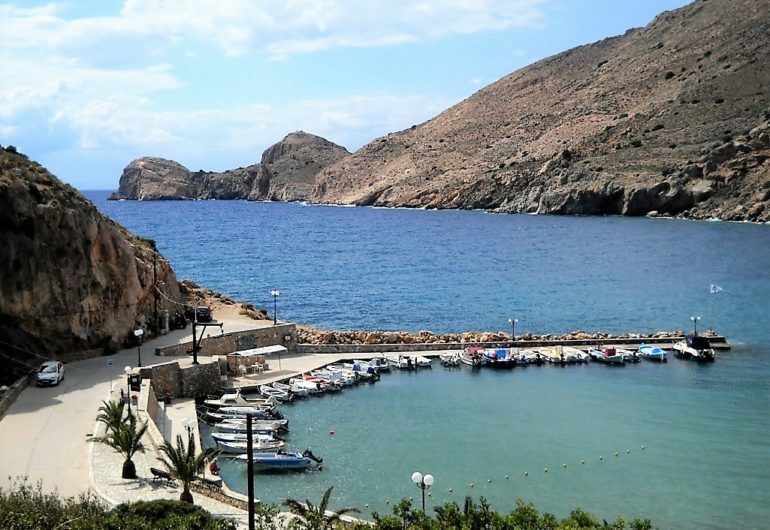 Travelers are invited to discover the small beaches of the village one after another, swim at the beach with the golden sand, visit the Catholic Church of “Agia Thekla”, the chapel of St. Anthony and the quiet beach Abela. 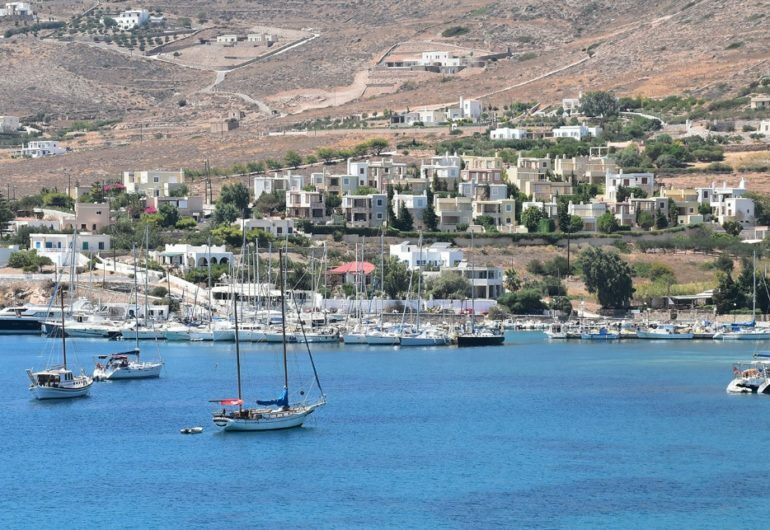 Further on, we are cruising to Foinikas, a beautiful beach in the west of the Island. It is a favorite destination due to its infrastructure featuring all comforts and conveniences for the bathers such as umbrellas to protect them from the sun, an organized marina for the yachts and traditional fish taverns right by the sea. 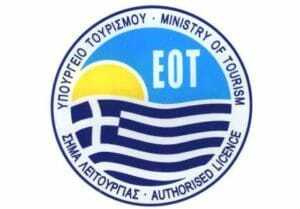 The beach of Foinikas is easily accessible and one can reach it by following the road from Ermoupolis to Galissas. 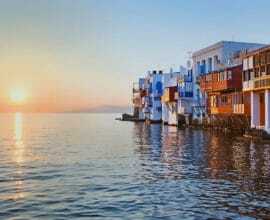 It is also a suitable for fishing and snorkeling. 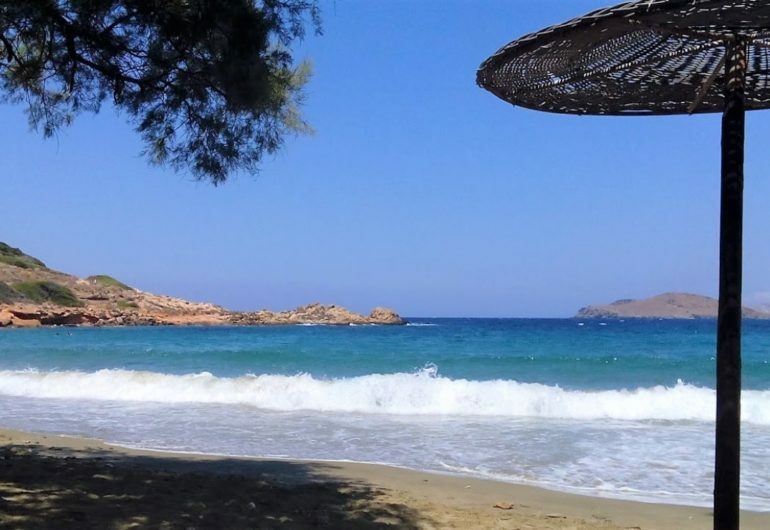 Last stop at Galissas beach, that is one of the most beautiful and popular beaches of the island. This is a fully organized beach which offers all kinds of comforts. 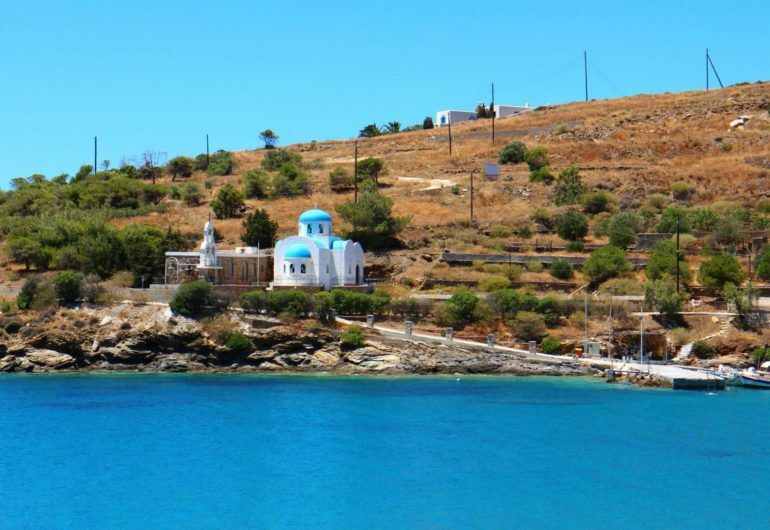 Guests can swim in the crystal clear waters, relax on the golden sand, enjoy unique flavors in the taverns of the village and head to the chapel of Agia Pakou from where the view is magnificent. 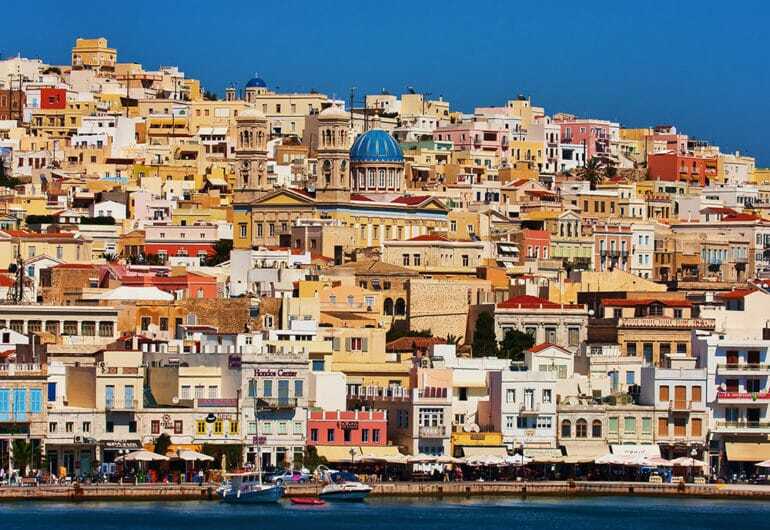 Syros island gastronomy is infused by the refugees from Chios and those from Asia minor that first introduced to the locals the Turkish delights and sweets, as well as by the refugees from Smyrni that brought along the spices of the Orient and the Capuchin monks with the prickly pears. 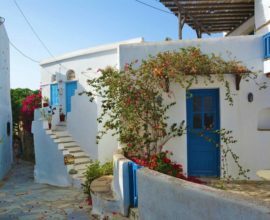 Many traditional recipes stand out in the island’s gastronomy such as Aetopita (a pie made with fish and vegetables), karabola (saucy snails with Sage), lachanodolma (cabbage leaves stuffed with rice) with raisins and other specialities including the meletinia cheese pies, marathopita (fennel pie), louiza (verbena) , grilled pancetta, sisyra (pork), braised fligkouni (entrails) and local Psaraki (tenderloin). Yet the journey of tastes and flavours doesn’t stop there. It goes on with delectable desserts such as pastelaries (salted figs), traditional Turkish delights (loukoumia) and delicious nougat-pies (chalvadopites).